According to scientists, “Pecking is a precise, high-tech activity,” requiring good coordination with the eye. 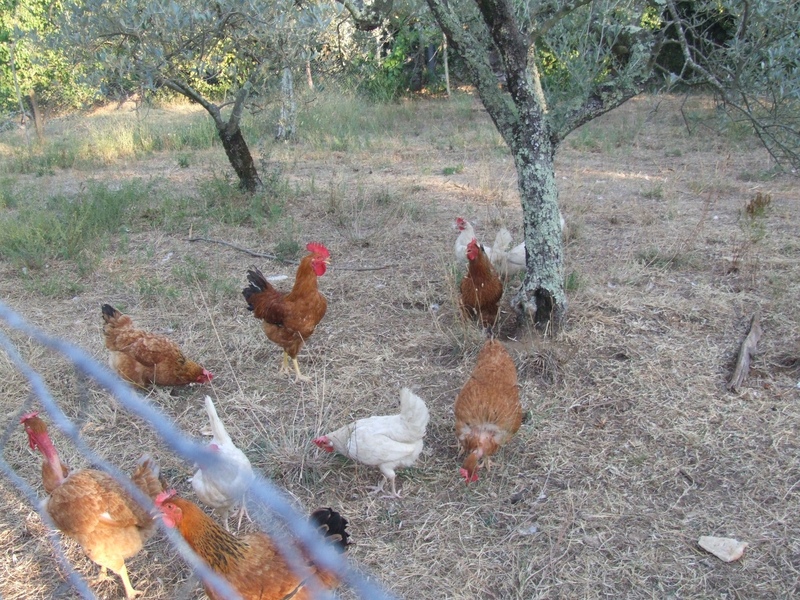 In natural conditions chickens spend between half and 90% of their time foraging, making up to 15,000 pecks a day. 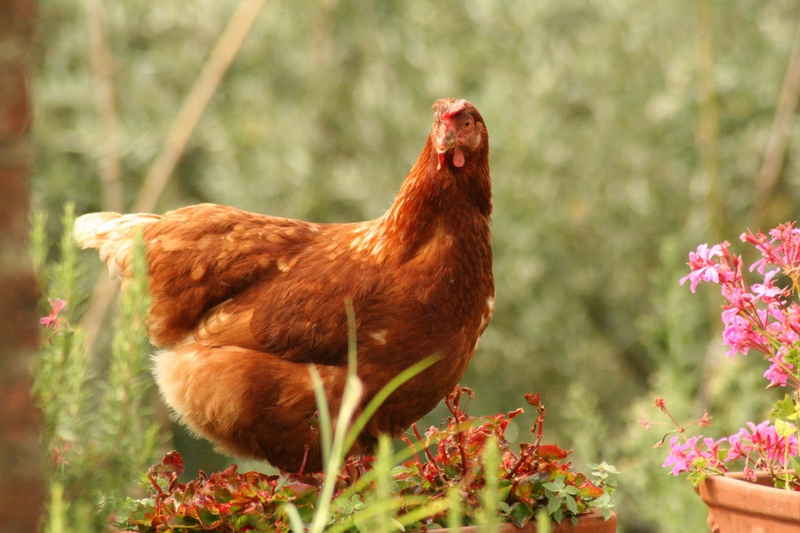 When you spend enough time around chickens, you’ll start to understand their many different vocalizations, from calling their youngsters to alerting others of the whereabouts of food. 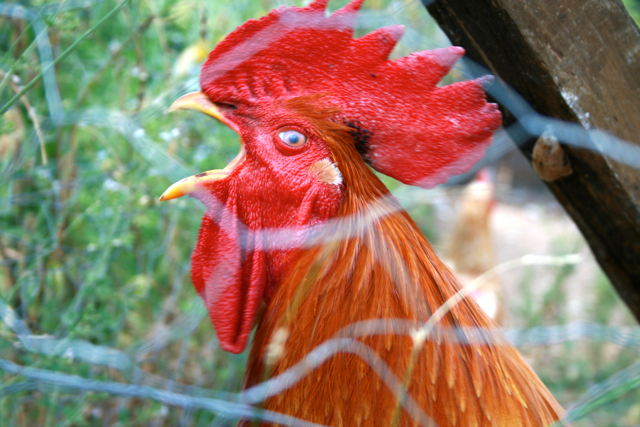 Chickens have different alarm calls for specific types of predators, which allow conspecifics to know the type of threat they face and what sort of anti-predation behaviour to perform. 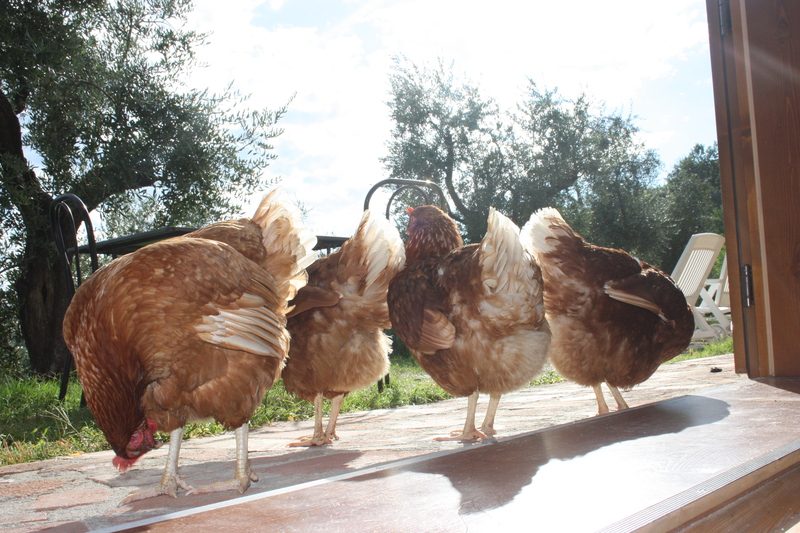 When given enough space, chickens will run, jump, dust bathe and even sunbathe. Unfortunately, in almost all cases, farm chickens spend their entire life in small cages no bigger than the size of a iPad. 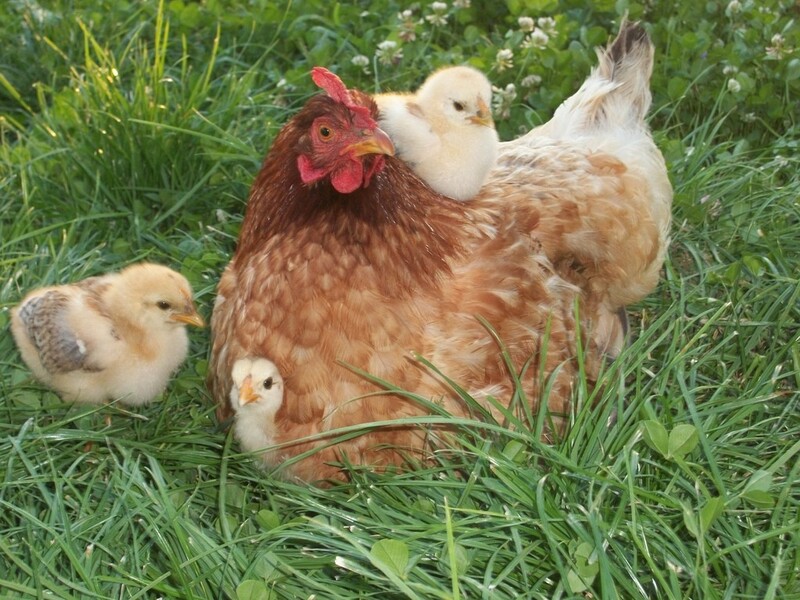 In a natural setting, a mother hen will cluck to her chicks before they have even hatched and they will churp back to her and to each other through their shells. 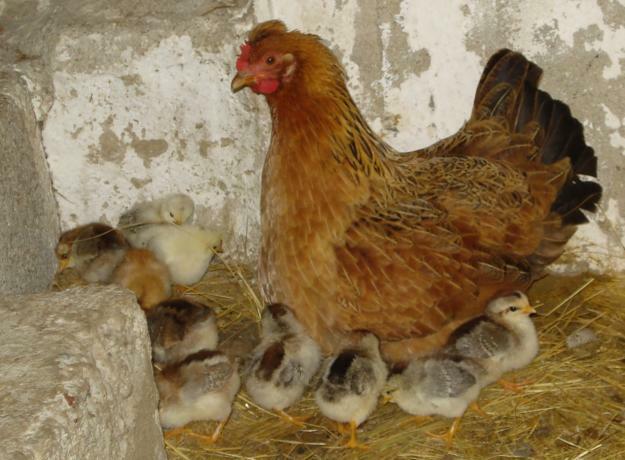 In factory farms, a chick will never get to meet his or her parents because they are taken from her as soon as they are laid and placed in large incubators. 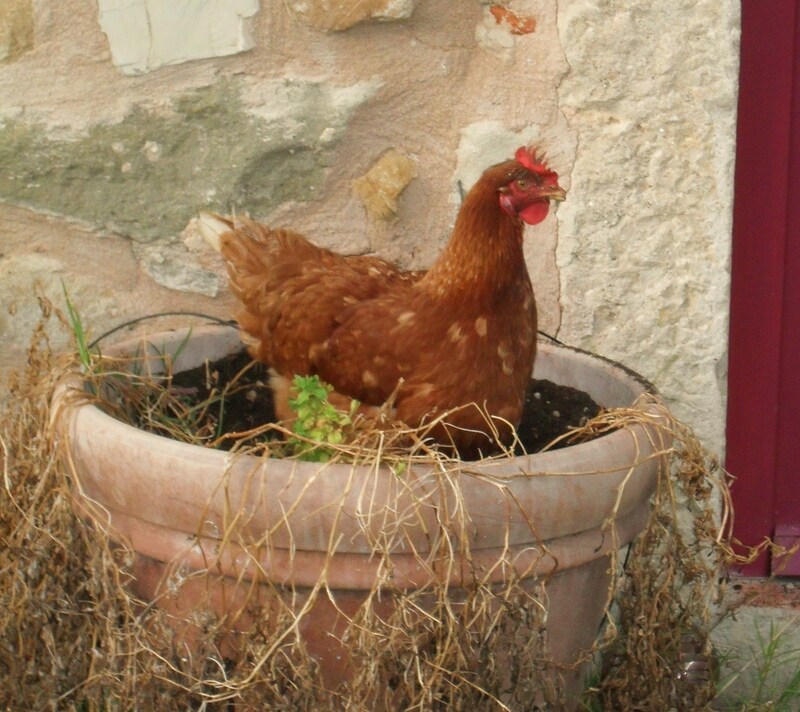 Recent studies have shown that chickens are intelligent animals with many attributes akin to that of primates. They are able to solve complex problems, understand cause and effect, pass on knowledge, demonstrate self control and worry about the future. Research has proven that not only have chickens evolved from dinosaurs and are the closest living relative to the magnificent T. rex, they are in fact living dinosaurs. They start by scratching a shallow bed in the ground, then carry twigs and leaves to their nest on their backs where they let the material slide off and build up around the rim. They will even go without food and water in favor of creating a private nest safe from predators. Even when an object is taken away from them and hidden, chickens are able to comprehend that it still exists. Not many animals have the ability to do this, and neither do young human children. Gallery | This entry was posted in Curiosities, For Kids, Uncategorized. Bookmark the permalink.